I need to use Vidyo conferencing software for some projects I’m on. Because I just reinstalled Ubuntu 16.04, I needed to reinstall the Vidyo desktop. This is not easy, since the installation file Vidyo directs you to contains a dependency that is not available on Ubuntu 16.10 (libqt4-gui). There are various solutions out there, though I was not able to get the one proposed by Vidyo itself to work. 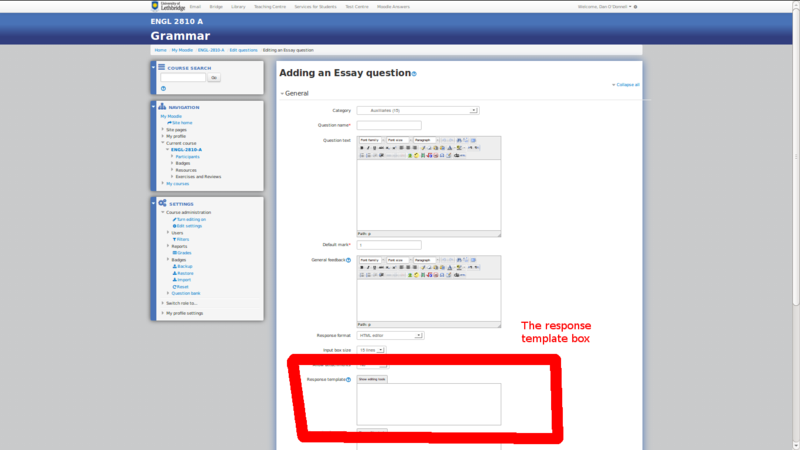 Just discovered a dangerous bug in the Moodle essay question template.